Hft has achieved a number of different accreditations and certifications that demonstrate our continued efforts to grow as a responsible organisation that invests in its people. Launched in 1991, Investors in People is the UK’s leading people management standard, specialising in transforming business performance through people. Participation in the accreditation process allows us to continuously improve and show how much we value our staff. Hft has held the Investors in People accolade since 2002 and, in 2017 underwent reassessment that resulted in us receiving the Investors in People Silver accreditation – a significant achievement. Robert Longley-Cook, our Chief Executive, says: “I’m very proud of Hft for achieving IiP Silver accreditation. This is a fantastic acknowledgement of the commitment and professionalism of all our staff. I was also delighted that the assessors highlighted how well our Fusion Model of Support is working across Hft”. Hft has achieved ‘Centre of Excellence’ status under the Skills for Care Endorsement Framework – a mark of quality that is awarded only to providers that deliver an exemplary learning and development programme that goes above and beyond what is expected of endorsed providers. can demonstrate that our innovative approach to the delivery of learning opportunities ensures the needs of learners are met. Find out more about the Skills for Care Endorsement Framework. As part of our commitment to reduce energy use and our associated carbon footprint, Hft has achieved compliance with the Energy Saving Opportunity Scheme (ESOS) Regulations 2014, which mandate that we undertake comprehensive assessments of energy use and energy efficiency opportunities at least once every four years. Measure total energy consumption for buildings, processes and transport. Identify areas of significant energy consumption, accounting for at least 90% of total energy consumption. Identify cost-effective energy efficiency recommendations for areas of significant energy consumption. Report compliance to the Environment Agency. Find out more about the ESOS programme. 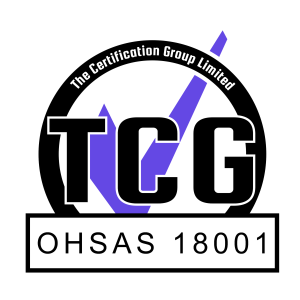 OHSAS 18001:2007 is a globally recognised standard that sets out the minimum requirements for Occupational Health and Safety Management best practice in the workplace. It covers areas that include Risk Assessment, Hazard Management, Performance and Monitoring, Training and emergency preparedness. Hft takes Health and Safety seriously. We have been assessed by The Certification Group and certified as conforming to the requirements of the standard. 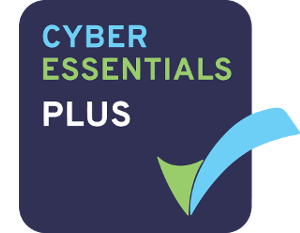 Hft has achieved the Cyber Essentials Plus accreditation. Cyber Essentials is a government-backed scheme that requires an organisation to prove that it is secure against common cyber attacks. Although Cyber Essentials is a self-certified statement of conformity, Cyber Essentials Plus is a more rigorous verification of an organisation’s cyber security, that requires verification to be carried out by an independent security specialist. An anti-virus product is installed on all machines, and is regularly maintained. Computer systems are subjected to regular updates. Mobile phones are managed and secure. The corporate network is protected from external attack. Email and internet is protected from malware and unwanted content. Policies and procedures exist for handling computer systems and information. This accreditation reflects Hft’s ongoing commitment to information security. Hft is a signatory to a number of different codes of practice and commitments designed to encourage best practice in the social care sector. Hft is registered with the Fundraising Regulator, which is the independent regulator of charitable fundraising in England and Wales. The Fundraising Regulator sets and maintains the standards for charitable fundraising, and aims to ensure that fundraising is legal, open, honest and respectful. The Code of Fundraising Practice and its associated Rulebooks for Street and Door Fundraising outline the standards expected of all charitable fundraising organisations across the UK. The standards were developed by the fundraising community through the work of the Institute of Fundraising (IoF) and Public Fundraising Association (PFRA). These are some of the ways in which we show that we care about our supporters and are accountable for the way we raise funds. Hft has signed up to the Driving Up Quality Code, meaning that we are committed to continuous improvement of the services we provide. The code outlines good fundamental practices and behaviour that organisations that support people with learning disabilities need to be committed to. By signing up, we’re publically stating that we believe in these good practices and are achieving or actively working towards them. Hft is positive about employing and retaining people with disabilities. As a Disability Confident Employer, Hft is helping to ensure that disabled people have the same opportunities to fulfil their potential and realise their aspirations that people without disabilities do. ensure that disabled people have the opportunities to fulfil their potential and realise their aspirations. Following the introduction of the Modern Slavery Act 2015, a statement is required from all organisations with an annual turnover exceeding £36 million, to provide greater awareness of the dangers of modern day slavery and to improve transparency within supply chains. As a charity committed to care, choice and independence we welcome this legislation and recognise the need to engage with this issue. It’s our Support Workers’ dedication to ensuring that the people we support have the opportunity to live the best lives possible that has made Hft the highly rated charity that it is today. Just as we have campaigned to see people employed in learning disability services continue to be paid fairly for the exceptional work they do, so too are we working to ensure that someone’s gender does not affect the wage they receive. So we are pleased to publish our Hft Gender Pay Gap Report for 2019. Hft holds membership with a number of different sector bodies and organisations that either work towards improving the lives of people with learning disabilities, or support charities such as Hft to maintain our high standards and effectiveness. Hft is a member of BILD, one of the leading learning disabilities organisations in the UK. BILD works to ensure that people with learning disabilities are valued equally, are able to participate fully in their communities and are treated with dignity and respect. Our membership of BILD helps ensure that we’re kept up to date with the latest thinking and development in the field of learning disabilities to inform our practice, and help us to improve people’s lives. BILD also campaigns for proper funding for support for people with learning disabilities and their family carers, and against bad practice as witnessed at Winterbourne View. 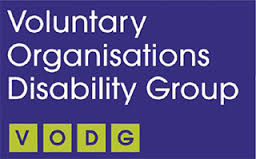 Hft is a member of the VODG, a group of over 80 leading voluntary sector and not-for-profit disability organisations that works on behalf of its members to influence and develop social care policy, build relationships with government and other key agencies, promote best practice, and keep members up-to-date on matters that have an effect on service delivery. VODG members work with around a million disabled people throughout the UK providing services that promote independence, choice and control. The VODG’s vision is a world where everyone with a disability has full choice and control. The ENTELIS project brings together nine partners from across the European Union plus one partner from the United States, with the goal of addressing some of the issues around accessing assistive technology and information & communication technologies that are experienced by many people with disabilities and the elderly. Other organisations have joined the consortium as Associate Partners. ENTELIS aims to reduce this digital divide by developing a sustainable network of organisations that collaborate in the development of strategies and policies which will help ensure that people of all ages, with or without disabilities can access and benefit from technology. Hft is an Associate Partner in ENTELIS. We provide knowledge and expertise in Personalised Technology and how this can be applied to different groups. Hft is a founder member of Learning Disability Voices, a coalition of charities, not-for-profits, and independent companies that provide learning disability services in the UK, and that together represent 20% of the total sector provision. In recent years the sector has had to cope with increasingly damaging local government cuts and has been forced to drive operational efficiencies to keep fees static. However, as we are paid for the hours of care we deliver, and as we support vulnerable people who often require 24-hour support delivered by one or more carers to ensure that their needs are met, we cannot reduce frontline staffing to cut costs further. Learning Disability Voices was launched in response to the funding challenge this represents and exists to champion the learning disability sector and push for crucial policy changes to ensure a sustainable future for quality learning disability care. Hft is a member of the European Association of Service Providers for Persons with Disabilities (EASPD), a European umbrella organisation representing more than 15,000 support services for people with disabilities across Europe. EASPD aims to promote equal opportunities for people with disabilities. We are also members of EASPD’s Interest group on assistive technology or Person-centred Technology (PCT). Sarah Weston, Hft’s Innovation Manager, is co-chair of the Interest group. Hft is a member of the Telecare Services Association (TSA) – the industry body for technology enabled care (TEC) services. The TSA aims to drive growth in the TEC industry by driving strategy, innovation, choice and standards to enhance people’s independence and quality of life.